Solar pool heating works quite easily by putting pool water through a series of panels, each comprised of thin tubes. The water gathers the solar energy and goes back to the pool. The water is consistently moving, heating the pool throughout the daylight hours. Solar pool panels are long-lasting, contain no moving parts, and need no electrical connections. Solaron installs the panels exactly side-by-side in a sleek array with no unsightly clamps or hoses. The panels are wind-resistant and do not need to be strapped down, adding to their sleek look. Solar panels work on various roof treatments and orientations. Solaron is expert at investigating each pool and roof to maximize efficiency and performance. Who Makes Pool Heaters for Solaron? 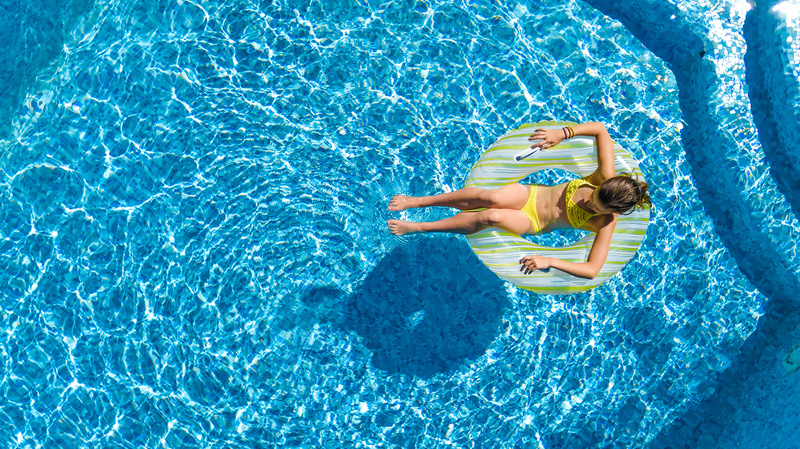 A solar pool contractor in Woodland for well over twenty years, Solaron can retrofit your pool or install a solar pool heater with a new pool. We construct only Heliocol solar pool parts and are the largest California Heliocol dealer and distributor. With sales and installation workers fully trained by Heliocol, Solaron guarantees your satisfaction. Get started by phoning us today at 916-631-9293 or by using our digital request form!